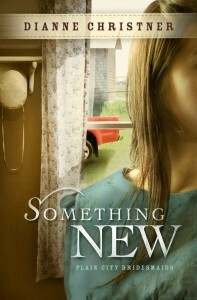 “Plain City Bridesmaids” Series Continues with Book Two, “Something New” by Dianne Christner. « Finally! A Traffic Light! Dianne Christner is back with the second book in her Christian romance fiction series, Plain City Bridesmaids. Following the first book, Something Old, the second book is Something New. Something New will be released on February 1 and you can pre-order your copy now on Dianne’s web site HERE. 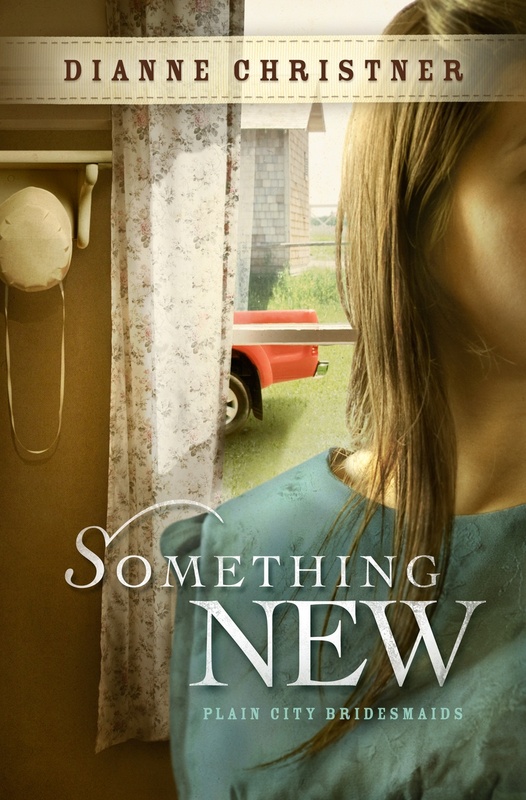 The synopsis for Something New introduces many pitfalls on the journey to find love: Lil Landis envisions a life outside her Conservative Mennonite home. But when she pursues a culinary career, problems on the family farm beckon her home. Veterinary student, Fletch Stauffer has goals of his own which take him undercover at the Landis farm, where falling for spunky Lil will jeopardize his plans. I actually had a chance to read an advance copy of Something New and I was pleasantly surprised to find the characters contemplating a visit to Plain City Druggist (yes, the drugstore is featured in the book!). Lil’s mom is told, “Over at Plain City Druggist, they sell some herbs that pep folks up.” We certainly do! Beyond the pharmacy, Dianne also features a ton of local landmarks in the book, including Darby Creek, the Shekinah Festival, RANCO, Dublin Methodist Hospital, and Rosedale Bible College. It was exciting to be reading and suddenly recognize a location or a place. The Ohio State University and a couple of trips to Columbus also feature into the plot. Besides being a romance and a sketch of life in Plain City, Ohio, Something New also looks at the premise of factory farms and many animal issues with a fictional farm animal sanctuary located in the Plain City of the book. One of the main characters (and Lil’s romantic interest), Fletch Stauffer, is an OSU vet student who loves animals and works tirelessly with the farmers in the novel on their behalf. As most of you know, I am a huge animal lover and this was a thoughtful story line that I found to be educational without being preachy. Dianne got not only the flavor of Plain City correct, but the Mennonite characters, as well. Many of the people in Something New reminded me of customers and friends and even one or two of our employees (who often wishfully daydream about trading in their skirts for contemporary blue jeans). I loved the characters of Lil and Fletch, both of whom seemed realistic and like people you might meet on the streets of Plain City. I want to thank Dianne for not only mentioning Plain City Druggist in Something New, but for allowing me to read it before it was even published. I found myself pulled in to the story and finished the book in just two days. I can’t wait to read the third installment. The third book in the series, Something Blue, will be available in August 2012. You can read the intriguing synopsis HERE. Even if you aren’t from Plain City, the Plain City Bridesmaids books will make you wish you were. And if you are lucky enough to call Plain City home (like me), you’ll be happy to see our little village so lovingly portrayed. Plain City becomes almost a character itself in this series. Dianne, who was raised Mennonite, draws on her memories to make the characters and scenes in her books vividly accurate. Her husband was raised on a farm in Plain City and attended a Conservative Mennonite church in the area. Dianne also writes about her former Mennonite life on her blog, which you can find HERE. Check out Dianne’s Facebook page for Plain City Bridesmaids, too, HERE. Dianne features lots of neat contests and giveaways on her Facebook page. Dianne will also be in Plain City in April on a book tour. I’ll let you know more details on her time in the area as April approaches.